The city of Fukuoka, southwestern Japan, began recognizing on Monday partnerships of lesbian, gay, bisexual and transgender couples, adding to nationwide efforts to eliminate discrimination against sexual minorities. 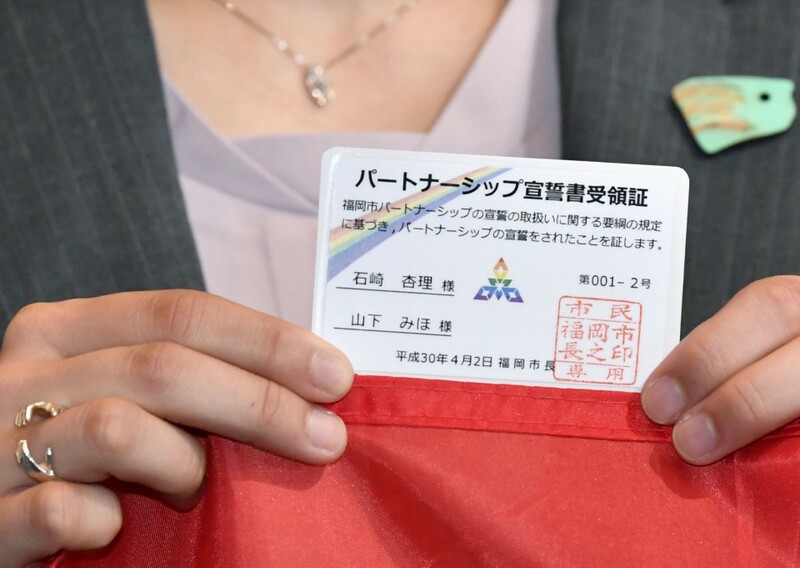 Fukuoka became the seventh municipality in the country to issue such proof after Tokyo's Shibuya Ward established a similar system for the first time in 2015. Fukuoka Mayor Soichiro Takashima handed the first proof authenticating the partnership oath submitted by a couple at the city hall. 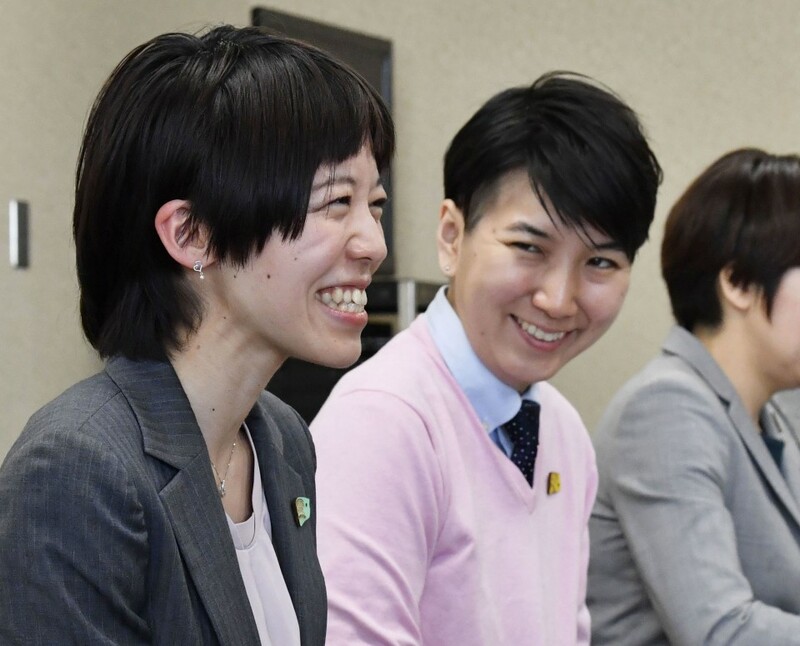 "We've already spent our lives together as a family but we're happy (to be recognized) because we feel like we received congratulations from society," said Anri Ishizaki, a 33-year-old representative of a support group for LGBT people. 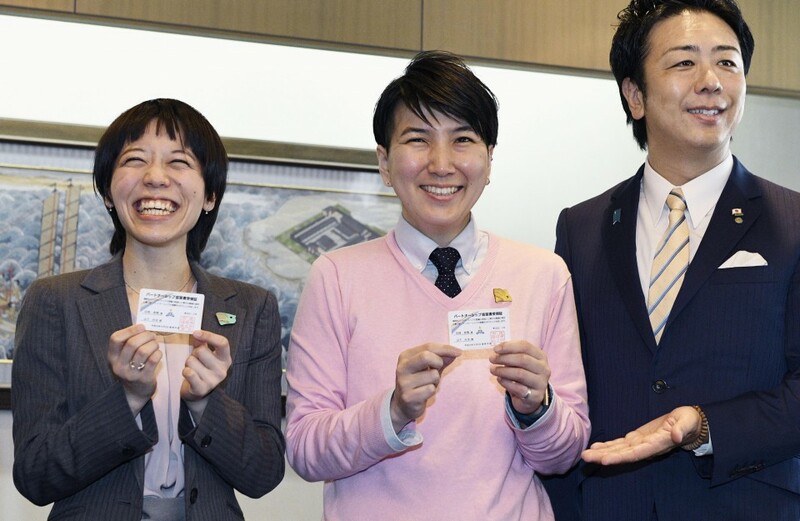 Ishizaki, who was born as a female but lives as a man, visited the city hall to receive the proof together with partner Miho Yamashita, 27. The proof does not entail legal rights or obligations like marriage under the civil law. But such couples will be treated as equivalent to those that are married when they rent city-run housing or receive medical treatment at municipal hospitals. LGBT couples need to make a reservation to receive the proof. Five other couples have made their reservations as of Monday, according to the municipal government.